For every parent their hopes and dreams are to see their child succeed in life.
. Infact, it is a huge investment in one's future and the decisions to choose the right and top college in such a competitive world is always a challenge. 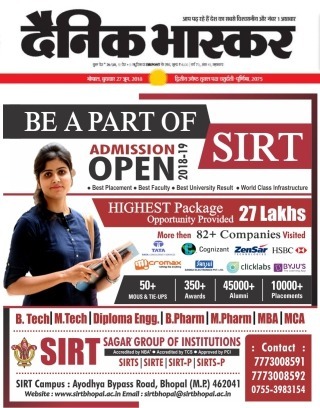 Here, we express our happiness that you have selected SIRT for admission in engineering college to develop your child's future because SIRT Bhopal holds a position among top B.Tech ( B E ) colleges in Madhya Pradesh in 2019 Rankings . It also enjoys a position of top CLC college in Bhopal MP Central India. This gives us the best opportunity for taking the complete responsibility for their future and making them with the ready-to-deploy best talent for the industry and provide them top quality placements. 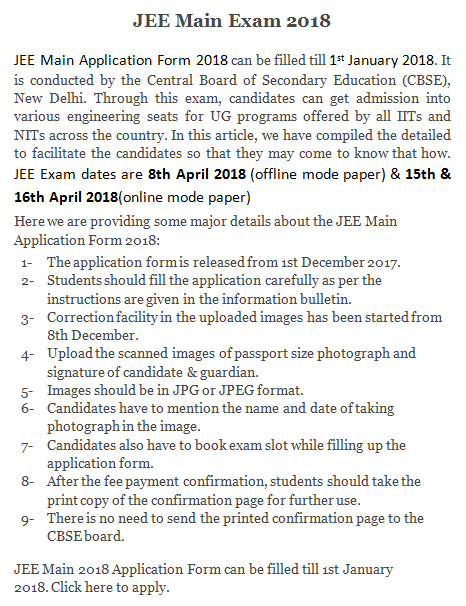 The SIRT is also giving direct admission in engineering in Bhopal MP to the students at the College Level Counseling for 10+2 passed eligible students. The college level counseling in MP or college level counseling in Bhopal is done by 10+12 students as per latest norms of government. 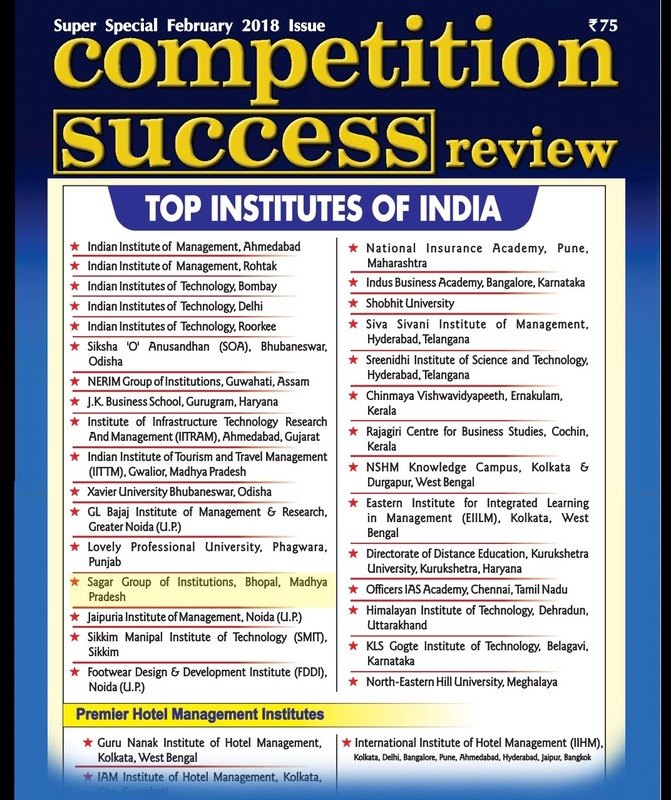 SIRT Bhopal has the best reputation for being among top CLC colleges in Bhopal MP . 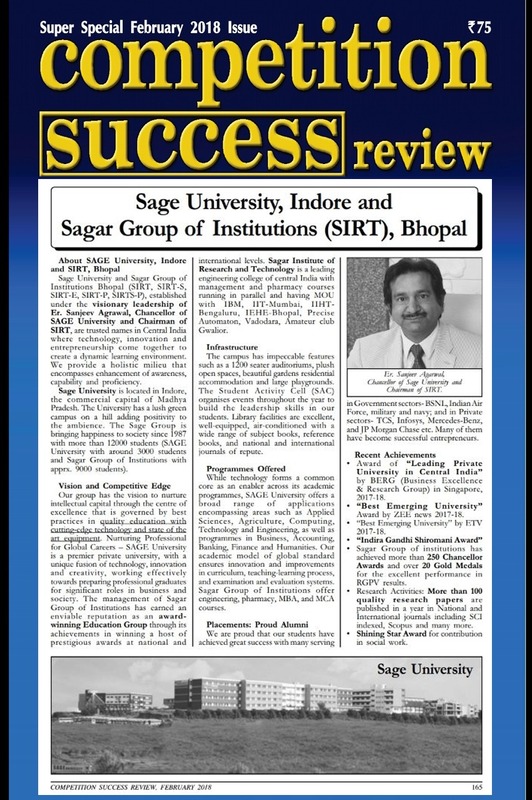 In SIRT, admission in engineering courses in Bhopal MP are designed in such a way that students can prepare and apply their basic knowledge of mathematics, and sciences to learn engineering in an easy manner. 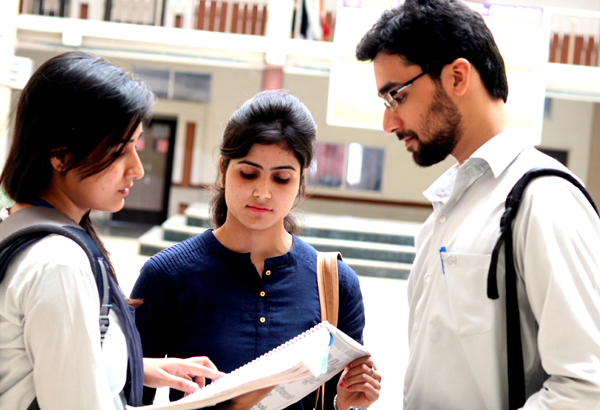 Students can also enhance their skills & ability to solve top-class engineering problems. 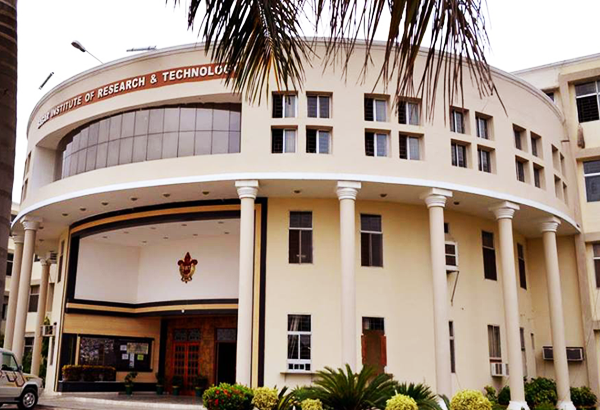 SIRT consists different UG branches like Computer Science & Engineering, Mechanical Engineering, Civil Engineering, Information Technology, Electrical & Electronics Engineering and Electronics and Communication Engineering. The objective of MTech program is to expose students to high level theoretical and top class practical knowledge which enable them to handle practical complex problems of design and development in the industrial field as well as pursue further academic achievement through research. SIRT offers two years full-time MTech program in different branches with the eligibility criteria minimum 60% marks in BTech ( B E ). 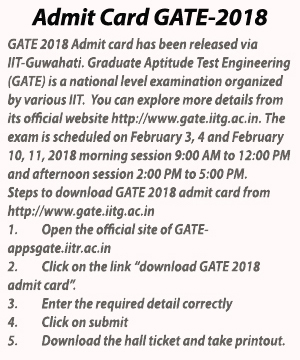 We also have provision for direct admission in engineering courses in MTech program . MCA (Master of Computer Application) is a three years degree program offered by SIRT. MCA curriculum is primarily based on the development of application software in diverse areas. In first two semesters course are aimed to develop the basic skills of various technologies and in third and fourth semesters are focused on the top class framework for preparation for industry needs and last two semesters provide the latest and top industrial elective courses and project work. MBA (Master of Business Administration is a two years professional course which is always in top demand in India and across the globe. 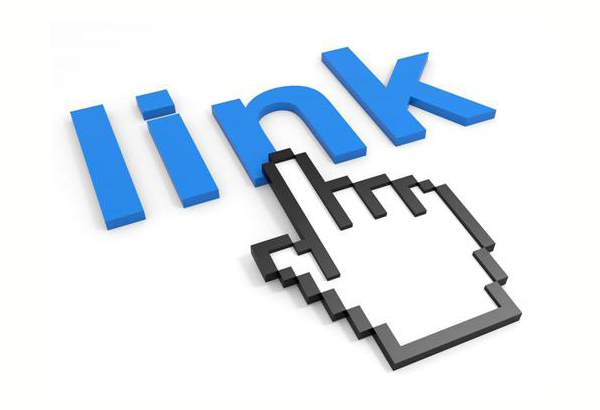 It is a semester-based course (4 semesters) deals with the theoretical aspects of the business. To achieve a higher aspect, SIRT has close collaboration and networking with top industry and business houses to impart practical training to the students and develop special competencies in them. 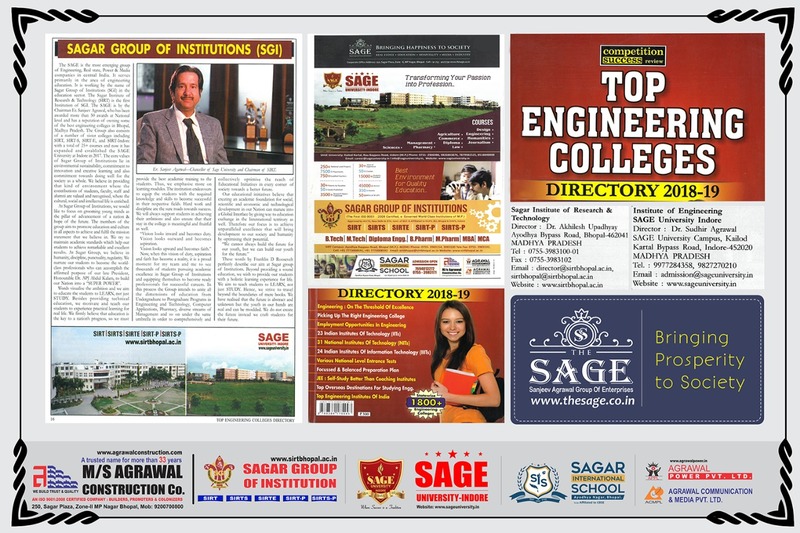 of Sagar Group of Institutions.